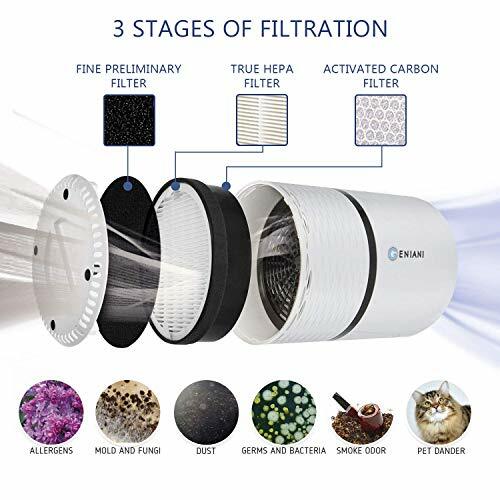 AIR PURIFIER FOR ALLERGIES AND PETS - true HEPA filter removes dust, smoke and allergens from the air, and serves as a pet odor eliminator. PROVEN EFFICIENCY. 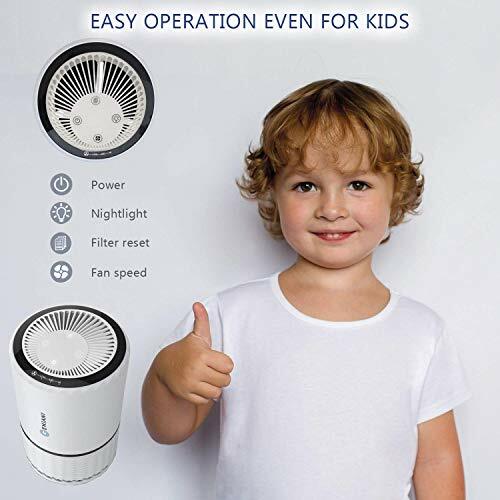 The HEPA air purifier is ARB-certified which proves its high quality. FIGHTS GERMS. Thanks to a carbon air filter, or air cleaner fights bacteria and germs that get in the air. SUPER-QUIET YET POWERFUL. 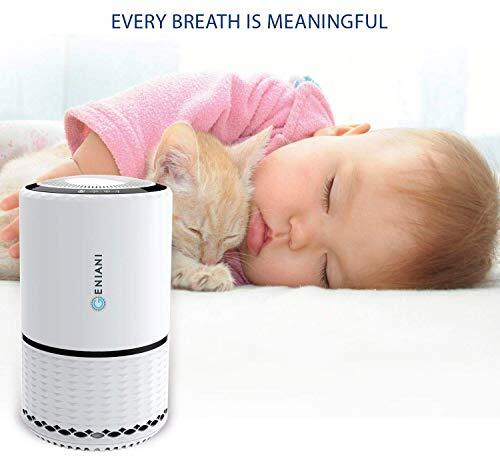 Perfect air purifier for a large room and works silently even on the third speed level. NIGHTLIGHT AND 3 SPEED LEVELS. 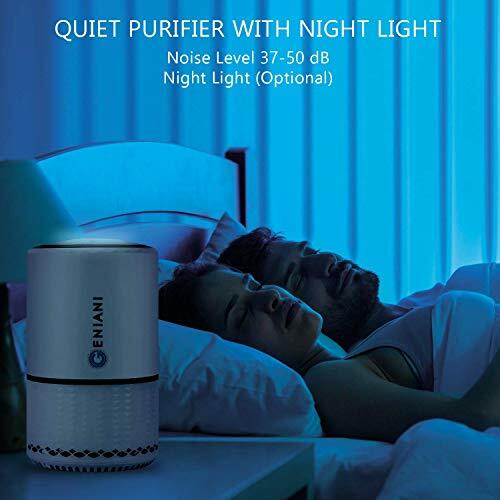 When the air purifier for home works at night, you can turn a dim nightlight on. To set up the purifier in a way you like, choose among three speed levels. 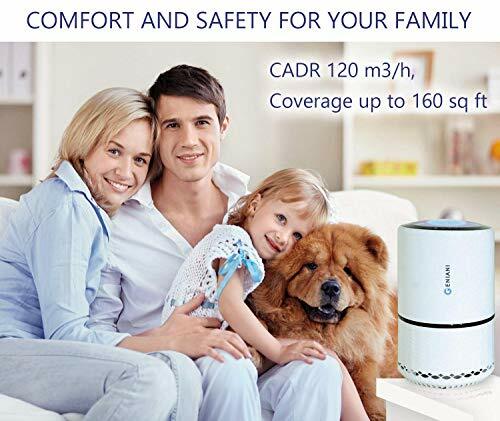 Breathe fresh and clean air with Geniani Home Air Purifier! To circle all of our daily activities successfully, sometimes we need a literal breath of fresh air. 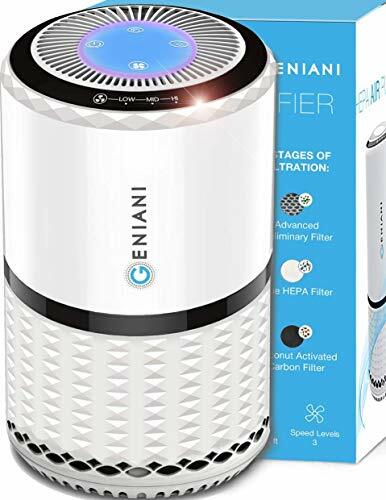 Purify the air in your house with Geniani HEPA Air Purifier. 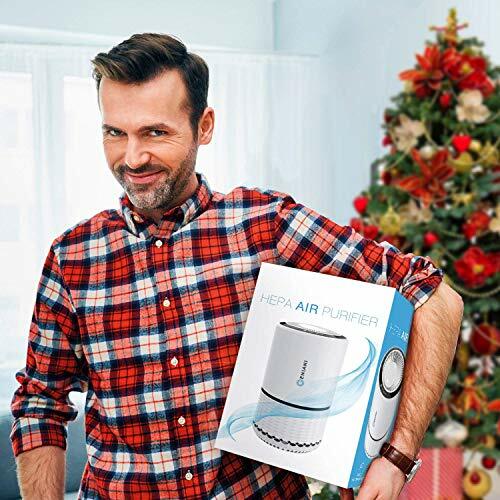 With one of the best HEPA air filters produced, our air purifier for home works effectively to separate pure oxygen from dust, ashes, and other allergens as well as germs and microbes. Designed in a black-and-white color pattern, the air cleaner will be a solid fit for a house of any style and size. At the end of a busy day, everyone deserves to relax. The home air purifier is your way to do it as it's equipped with the nightlight mode. The device has three paces - slow, medium, and high. You can choose the one you like most. The purifier neutralizes air dust, traps allergens, reduces smoke as well as odors. The antibacterial effect makes Geniani one of the best odor eliminators, coming in handy for house owners with pets. Air filter should be replaced every 6 months on average, it depends on the air quality in your area. Use only Certified HEPA Geniani Replacement filters for best performance (Search for: G-2000-FL).